Yum! Yesterday’s Sunday dinner was a church-wide fellowship. Food doesn’t get much better than a church dinner in the south! However, getting a meal ready to take out the door with you when you leave for church can be a challenge. This week I decided I was going to do everything I could by Friday. So I made mostly dishes that could easily be made ahead of time. Okay, this London Broil I did on Saturday, but the meat was in the fridge marinating since Friday night. Talk about delicious! I found this recipe on the Internet and am so glad I tried it! Can you see in the picture below how juicy the meat was? It was also full of flavor from the marinade. I cooked it medium rare on the grill on Saturday evening and then just warmed it up before I left for church. 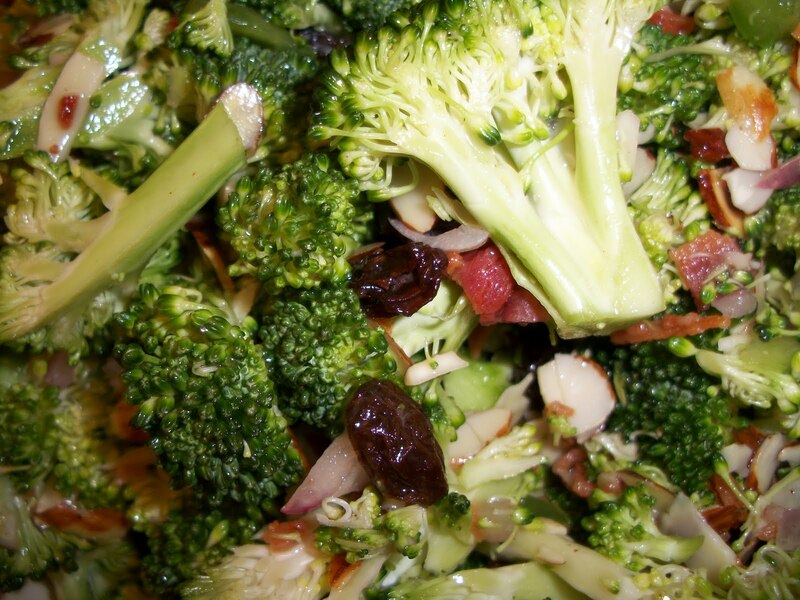 This is my broccoli salad recipe from Cooking Light that I shared with you here. I also took a potato casserole for the meal. It is supposed to be made ahead of time, so that was a perfect side dish. 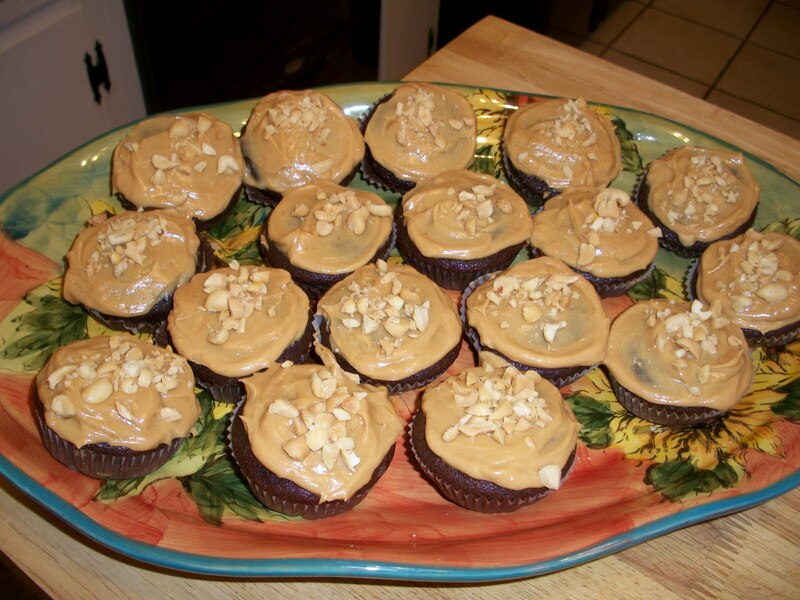 I saw these cupcakes on Barefoot Contessa last week and decided this would be my dessert – Chocolate cupcakes with a peanut butter frosting and topped with salted peanuts. Pretty much heaven in a cupcake liner! 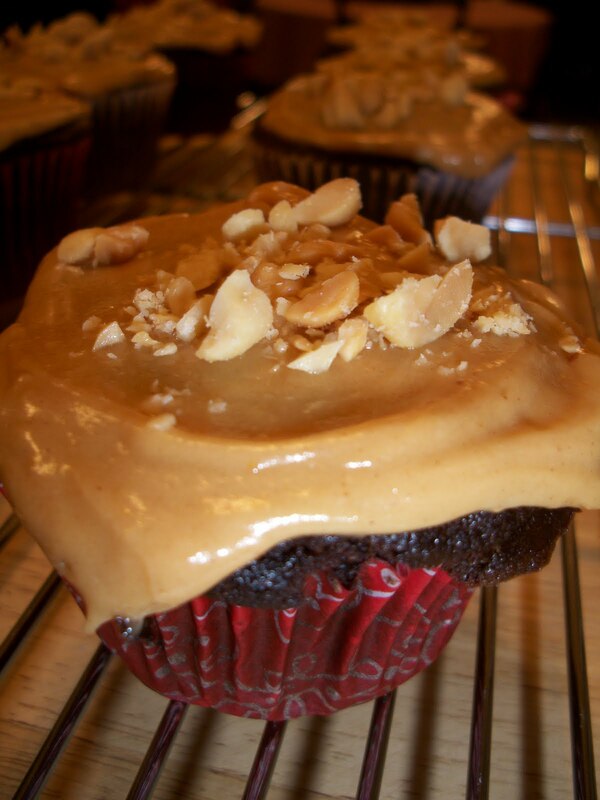 The batter has sour cream in it which make them moist, and coffee which brings out the chocolate flavor. In a bowl, whisk together marinade ingredients until combined well. Put London broil in a large resealable plastic bag & pour marinade over it. Seal bag, pressing out excess air and set in a shallow dish. Marinate meat, chilled, turning bag once or twice at least 8 hours. Preferably 24 hours. Preheat grill and set meat on grill, turning each once, 9 to 10 minutes on each side, or until it registers 125 to 130 degrees on a meat thermometer for medium-rare meat. Alternatively, meat may be broiled. We cooked ours longer for medium-well done. Transfer meat to cutting board and let stand 10 minutes. Cut meat diagonally across the grain into thin slices.